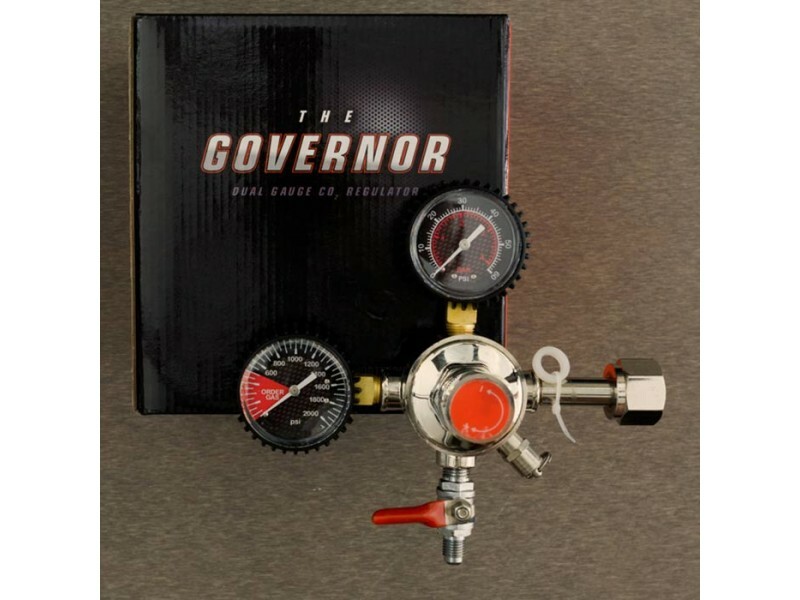 The Governor, dual gauge CO2 regulator, is a requisite for consistent flowing pints, preventing a foamy mess and eliminating keg hassle. Its sturdy chrome plate body insures endurance; its rubberized gauge construction prevents gauge damage; its integrated pressure release valve defies high pressure.Its large adjustment knob with lock-ring allows gas flow to be changed without the use of a screw driver, thus simplifying the adjustment of your dispensing pressure.Easily expandable with additionalkegs,agas distributor, andgas lines. A simple and affordable regulator for your kegerator/keezerbuild!